Distance : 62 kms from Tirupati and 71 kms from Chennai. Nagalapuram is a small town in Andhra pradesh, about 70 kms south east of Tirupathi and about 71 kms North of Chennai. If traveled from Chennai, Nagalapuram is situated about 15 kms from Uthukkottai on the highway towards Puthur, after Suruttuppalli. 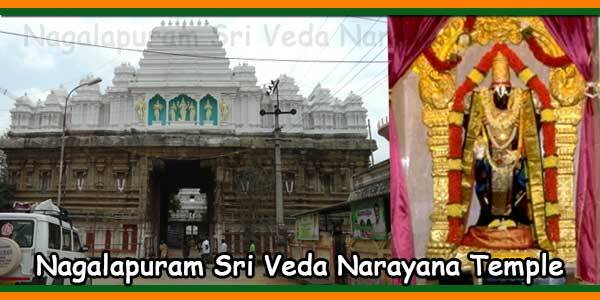 The presiding deity is Sri Vedanarayana Swamy or Vedanarayana Perumal. 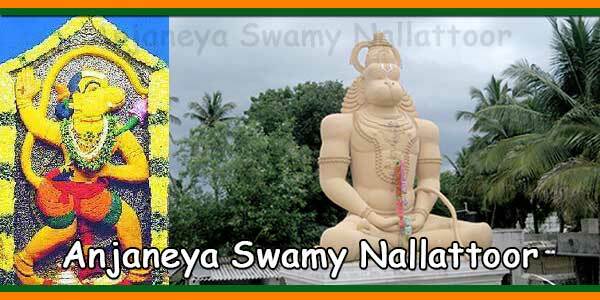 This temple is called Mathsya Avataara Sthalam as Lord here is seen in Mathsya Avatar, which is the first and foremost avatar (incarnation) among 10 avatars of Lord Vishnu. Lord Vishnu, took the avatar in the form of a fish (Mathsya in Sanskrit), went deep into the sea and fought with Somukasura. Somukasura was defeated in the battle by Lord Vishnu, who brought back 4 Vedas and handed over to Lord Brahma safely. 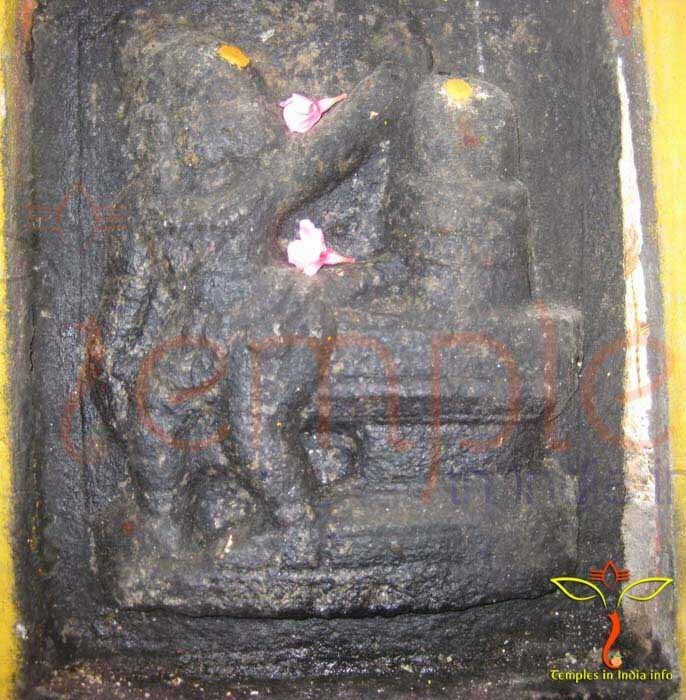 As God saved Vedas here, he is known as Sri Veda Narayana Perumal. The lord is seen here in Mathsya Avatar along with his consorts Sri Devi and Bhu Devi. This ancient and vast temple was built during the reign of Krishna Deva Raya. Also Krishna Deva Raya had named this town as Nagalapuram in memory of his mother Nagamba. The temple spread on a very vast area has grand Gopurams and huge prakaarams. Sri Vedanarayana Swamy temple is wonderfully maintained by Thirumala Thirupathi Devasthanam (T.T.D) with beautiful gardens along the prakaarams. 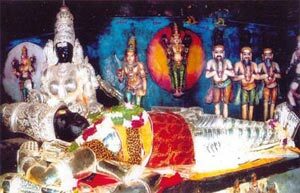 The other deities present here are Lord Ganesha, Dhakshinamurthy, Sri Venugopala Swamy, etc., among many others. The rarity of this temple is the Surya Pooja which happens annually during the temple’s Brahmotsavam on Sukla Dwadasi, Trayodasi and Chathurdasi days of Tamil month Panguni which is approximately around last week of every March. On the above 3 days one can witness the Sun’s rays from the horizon, entering the sanctum and falling at the Lord’s Feet on the first day, Naabhi (Navel) on the second day and Forehead on the third day, during the sunset, as the Lord here is facing towards west. All this happens not from the ceiling or any opening in the temple, but from the entrance of the temple. The deity is about 600 meters from the main Gopuram entrance and the Sun’s rays have to pass through such a distance to fall directly on the deity. This miracle never happens again throughout the year except these 3 days. Also it is still not understood whether it is the architectural or astronomical brilliance by our ancestors, as this has been happening for ages from now. This event signifies Sun God’s (Surya) Seva to the Lord to warm up his chilled body, as the Lord has been under water for many years during his war against Somukasura. Large numbers of people throng this temple to witness this rare event. Nagalapuram is easily accessible by road both from Chennai and Thirupathi.